When bedtime comes and you need so desperately to lie down and get some slumber, but your muscles ache and feel cramped, what can you do? Not everyone has a masseuse at the ready as they are climbing into bed, but with just a bit of practice, you can take matters into your own hands. That’s right! Here are three easy self-massaging techniques that will induce quality sleep! The first thing to do once you are on your bed, but before lying down, is to place either hand on the back of your neck and gently pull forward. Rotate your head gently from side to side and in a circular fashion. Keep the pressure on your neck muscles as you do this so that you feel some stretching as you move your head back and forth. Draw your fingers slowly and firmly down from the base of your skull, across your neck, and over your shoulders. Repeat several times and feel the tension begin to ease. Next, spread your fingertips on either side of your head and firmly rotate them in a circular fashion on either side of your skull. Gently push on your temples, go around your ears, and then grasp each ear and rub down the length of it. As you massage over your scalp, press your fingernails gently toward the roots of your hair. Your scalp should begin to feel tingly. Move to your eye sockets and gently press your fingernails across the length of your eyebrows, then massage around each eye in a slow, smooth motion. Start at the wrist, use the opposing hand to grasp and pull down the arm towards your elbow. Use this motion several times at various angles and then repeat on the other arm. Next grasp your wrist and rub gently back and forth several times until your skin tingles a bit. Repeat on the other wrist. Then gently shake your arms and hands to help them feel loose and relaxed. Next put your hands together in a grasp with interlocking fingers and push backward while pulling your hands against your chest. This movement gives your finger joints a nice stretch. Hold for a few seconds, release, and then repeat twice more. Next, place your thumb in the palm of the opposing hand and gently rub in circles. Repeat on the opposite hand. Finally, grab each thumb and finger in succession and massage them each individually, while gently pulling them to release the tension in the joints. Extend your legs in front of you while sitting up in your bed. Place both hands around your leg near your ankle. Gently pull upward, pressing your fingers along the backside of your calf until you reach your knee. Do this several times to draw the blood upward and allow your muscles to relax. Repeat on the opposite leg. Now with legs still extended, point your toes forward and feel the stretch across the top of your foot, then point each foot toward your body, grab your toes if you can, and gently pull to give your calf muscles a long, gentle stretch. Next, bring your feet as close to you as possible, place both thumbs on the sole of one foot. Starting in the center push gently in an outward motion, working your way down the length of your foot. You will probably want to repeat this multiple times, as this type of massage is exceedingly relaxing and your body will have begun to release endorphins throughout your body. As you move across your foot, you may find it beneficial to use your fingertips to gently press into your heel, as well as at the base of your toes. Both of these portions of your feet tend to respond nicely to this extra stimulation. Repeat with the other foot. Now that you have worked through these self-massaging techniques that will help induce quality sleep, lean back onto your pillows and take several deep breaths. 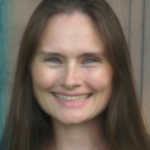 Consciously envision each of your muscles being totally relaxed. If you find that you are still holding tension in any part of your body, focus on that area and reach out to tap any tight muscles. By doing this, you are encouraging those muscles to finish loosening up. As you become more comfortable with this routine, you will find what movements work best for your body and how deep to massage to get the results you are looking for. 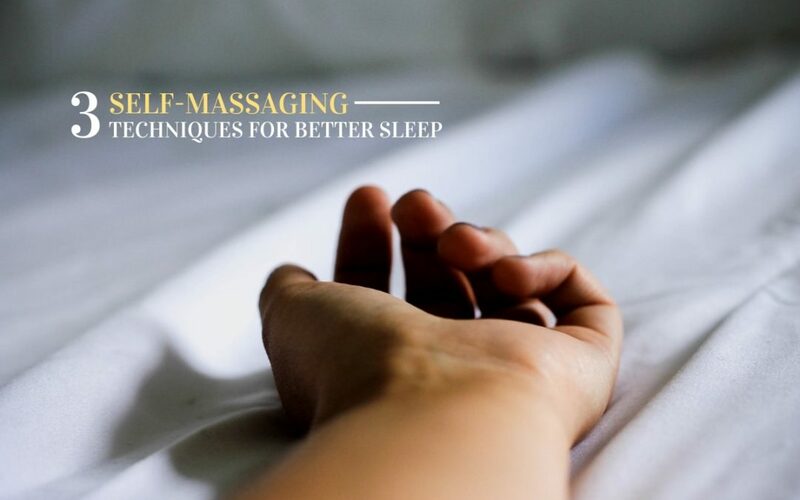 It may take several practice tries to feel like you are giving enough counter pressure, but soon you will find that a self-massage is the perfect end to long day and will help you get a good night’s sleep.